The Calais 'jungle' has died. Long live to the Paris 'jungle'! 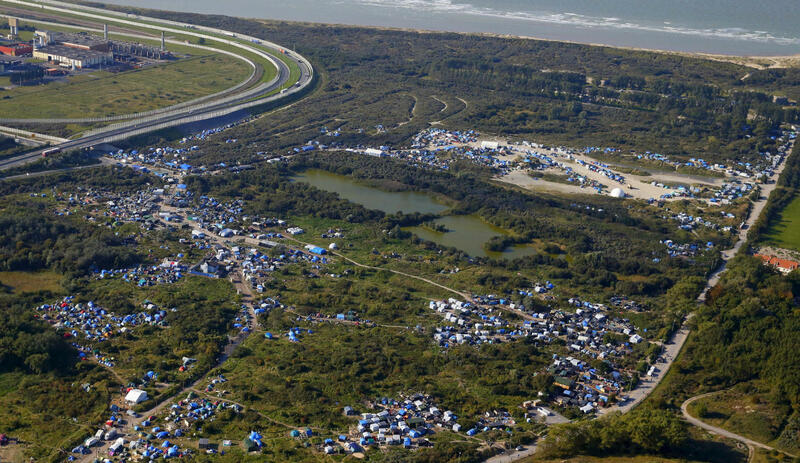 The French authorities have decided, finally, to dismantle the famous "jungle" of Calais, chaotic, violent and odorous third world embassy in the heart of Europe, focus of crime and festering sore on the landscape, once peaceful and prosperous, of a country that awakens to the terrible realities that the elites have cooked playing to be wizards and do experiments with people’s fate. That cleaning operation actually consists in relocate the wilds and mountaineers, tenants of the camp at various locations within the country. In other words: it is sweeping the dirt under the carpet. Bread for today and hunger for tomorrow... The problem is not solved, it just change of address. Even worse: it spread to areas that recently were relatively safe from this pest. But even the expansion of the invasion of illegal immigrants and other "refugees" is limited to certain areas far from large urban centers, in the middle of the green countryside gala, in the shadow of its historic bell towers. Paris itself has become the camp of these new hordes of barbarians who have settled in the center of the glamorous and romantic old City of Light, distant country of poets and artists, today in to the way of becoming, for the work and grace of these unexpected and unwanted visitors, in a replica of a rusty and rotten suburb of Africa or Haiti. "After Calais, everyone to Paris! ": this seems to be the message sent to the four winds. The situation is becoming tragic in the capital, which has become a meeting place for all the Third World. The situation is becoming more complicated and conflictive as days passed. Garbage everywhere, excrement on the streets, shouting all the time, fights between individuals and between gangs, like old battles with stones and iron bars. Robberies and assaults against neighboring multiply. Owners and sellers see pass by their customers. The neighborhood lives in fear. Paris was a party, now is a "jungle". The Hemingway longed for years are gone forever, now is the time of fear, discord, conflict, surviving. Soon it will be all France affected by this situation, as the government does not offer any other solution than moving the problem from one place to another, without wanting to cut evil by the root, closing the borders and expel those outside the law, as there is the risk of ending up in the general chaos if this situation do not stop. But no one in the government seems to have the courage to carry out the measures required. France does not expel almost anyone. The number of deportees is negligible, while arrivals of hundreds of thousands each year. France is ruined by the costs of this tsunami migration that threatens to suffocate the country. Each asylum seeker costs the public money about 13,000 euros per year at least, administrative expenses and maintenance, while an unaccompanied minor cost them 50,000 euros annually. Among those famous "refugees", the vast majority are economic migrants who are attracted like flies to the cake of the social Eldorado that France offered them. Meanwhile, the government gesticulates and talks a lot but does nothing concrete to put a limit on this tide. The blessings of the multicultural society seem increasingly far, the endless happiness promised has not yet been submitted to the appointment. Perhaps the dreamers start to open their eyes, surrender to the harsh reality and end up voting for Marine Le Pen in a few months. At least the French have that option, the opportunity, the possible way out of the nightmare in which they are immersed. The Spanish, as always, continue 40 years late. Nevertheless the problems of our neighbors will be ours soon. We can see our immediate future in the present of France. Today is Paris, but tomorrow will be Madrid or Barcelona.